This Glamour Girl is a wonderful bed doll made with paperclay head and limbs with a cloth body. The perfect finishing touch for that special bedroom. 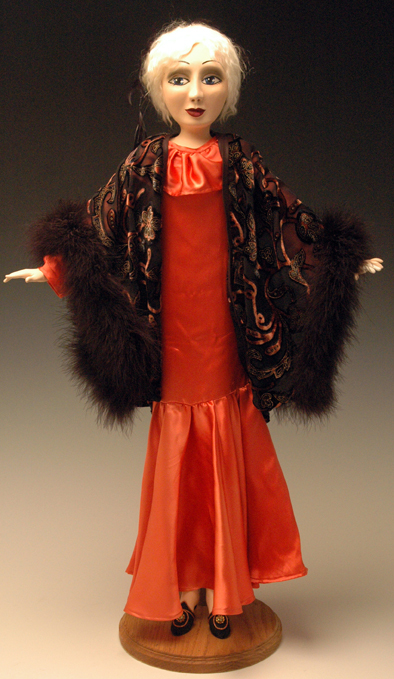 She is 30 inches long.Her dress and cacoon jacket are silk.